The Israeli occupation government is set to vote on Sunday on a proposed bill to expand the Buraq Wall Square. 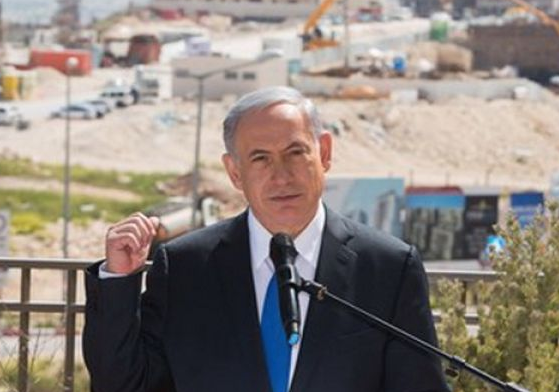 According to the Israeli Nrg news site the government is expected to vote on a bill for a set of construction and reconstruction projects at the Buraq Square. The 35-million-shekel cost for erecting the new prayer space will be paid by the Prime Minister’s Office and the ministries of Diaspora Affairs and Tourism and Finance. No Israeli rabbi will be consulted for approval over such a projected bid, the same source added. 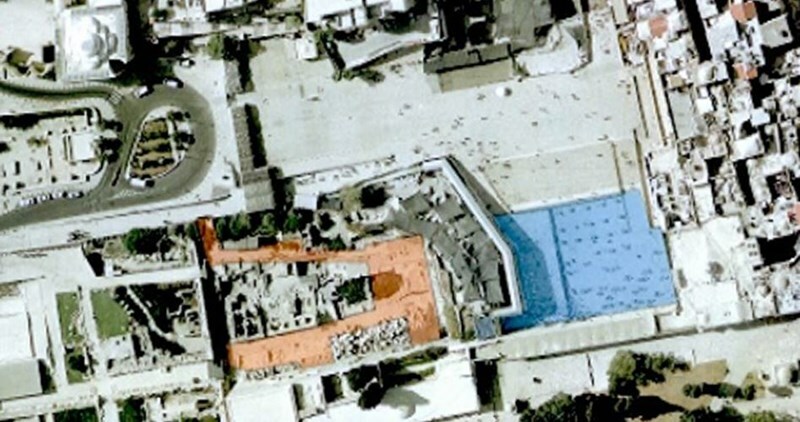 The project makes part of new Israeli Judaization projects across the holy occupied city of Jerusalem and Muslims’ the holy al-Aqsa Mosque so as to wipe out the city’s Islamic identity. Meanwhile, the Israeli occupation forces (IOF) on early Sunday morning prevented the reconstruction committee at the Endowment Department from renovating a terrace near the Silsila Gate at al-Aqsa Mosque. Director of the al-Aqsa Mosque, Sheikh Omar Kiswani, slammed the Israeli occupation for meddling in the affairs of the Endowment Department, saying such misdemeanors aim at holding sway over the Mosque. Eyewitnesses said the IOF cordoned off the reconstruction scene and prevented the staff from carrying out their work, forcing them out of the area. The IOF also cracked down on the Muslim worshipers at al-Aqsa and provocatively took pictures of them. The occupation troops further seized the IDs of Muslim women and youths at the main entrances to al-Aqsa. The French foreign minister, Laurent Fabius, announced on Friday that France will recognize a Palestinian state if a renewed push for a two-state solution fails. 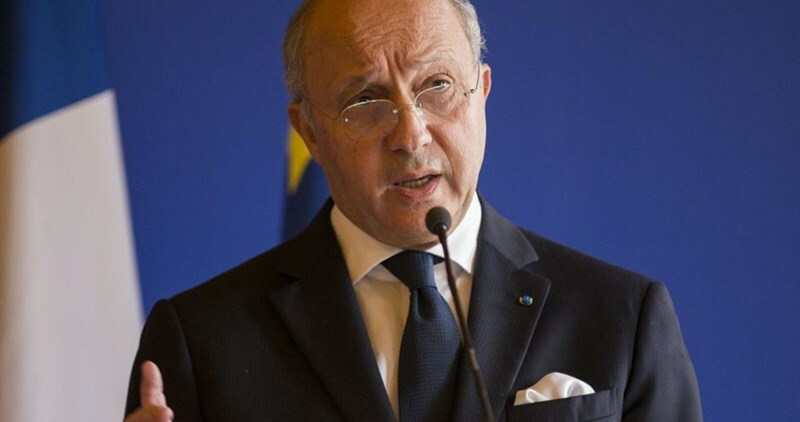 The French minister Fabius said that France was trying to convene an international peace summit to be held in the coming weeks to renew diplomatic efforts by Israel and the Palestinians. He said that if diplomacy failed, France would formally recognize a Palestinian state. A senior Israeli official said Fabius’s threat to recognize a Palestine state was counter-productive. “There is no logic in a deadline for recognition of a Palestinian state, it will only encourage the Palestinians not to negotiate,” he said. In December 2014, France supported a UN Security Council resolution creating a framework for a final resolution of the Israel-Palestinian conflict. Sweden was the first western country to recognize a Palestinian state. Besides, the British, French, Irish, Spanish and many other European parliaments passed unbinding resolutions urging their governments to recognize a Palestinian state. Turkey condemned on Thursday Israel’s illegal settlement expansion in the occupied West Bank and eastern Occupied Jerusalem. In a statement, the Turkish Foreign Ministry said: “We strongly condemn Israel's confirmation of 153 new constructions in several illegal settlements in the occupied West Bank and East Jerusalem, which Israel has been occupying since 1967." 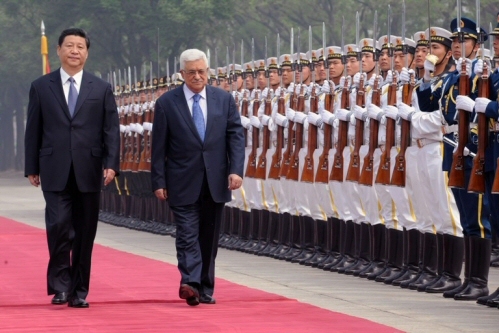 “Israel’s steps against the international law harm efforts for permanent peace. These steps are also unacceptable,” the statement further read. 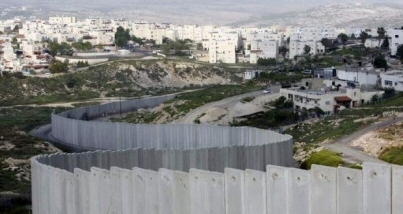 Under international law, Israeli building in the occupied territories is illegal. The Israeli war ministry approved plans to build 153 new illegal settlement units in the occupied West Bank, the occupation settlements watchdog Peace Now reported. 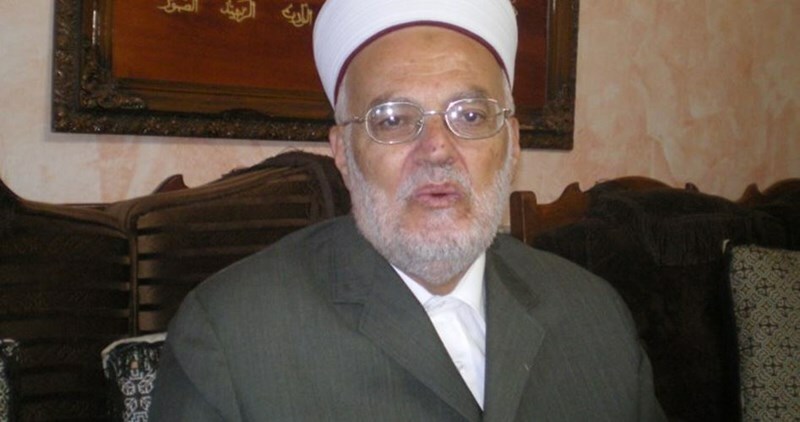 Preacher of the holy al-Aqsa Mosque and the Head of the Islamic Supreme Council, Sheikh Ekrema Sabri, warned, on Wednesday, of an Israeli plan to knock down over 30,000 Palestinian homes in the holy occupied city of Jerusalem. Sabri said in an exclusive statement to the PIC, the Israeli occupation demolished five Palestinian homes over the past couple of days and arrested dozens of Palestinian youths. Sheikh Sabri spoke out against the preplanned demolition policies pursued by the Israeli occupation against Palestinian homes under the pretext of unlicensed construction. He further denounced the demolition of the family homes of slain Palestinian anti-occupation activists, dubbing it a policy of collective punishment against the Palestinians. The preacher added that 54 Palestinian homes had been subjected to arbitrary demolition since the start of 2016. Sheikh Sabri said a popular campaign is set to kick off on February 8, to collect donations for the reconstruction of the demolished homes. He further warned of the ongoing Israeli aggression and sacrilegious schemes on Muslims’ the holy al-Aqsa Mosque. The Japanese Ministry of Foreign Affairs, on Thursday, issued a statement denouncing Israeli plans of approving new housing units in West Bank settlements. “Settlement activities are in violation of international law, and Japan has repeatedly called upon the Government of Israel to fully freeze settlement activities,” statement said. “Taking this opportunity the Government of Japan also expresses its deep concern about recent announcement by Israel declaring the land in the West Bank as “state land”. On Monday, the Israeli Ministry of Defense approved plans to build 153 new settlement units in the occupied West Bank, and announced that the process is in its final stages. 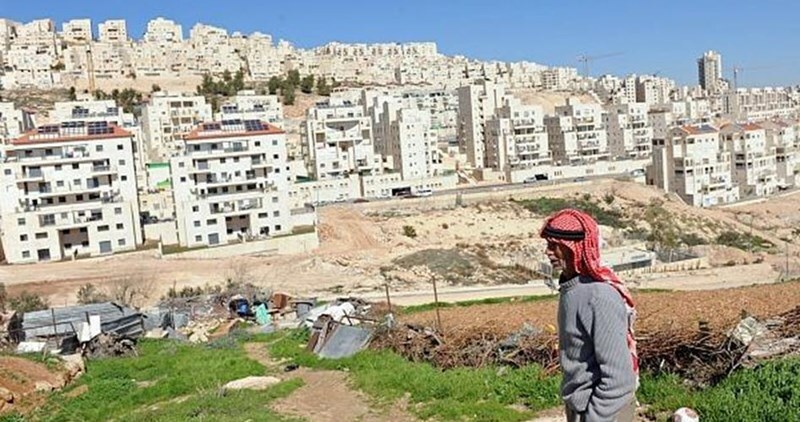 In a report based on government data obtained under a Freedom of Information Act request, Peace Now said that the housing ministry was seeking to build 55,548 units in the West Bank — including two new settlements — of which more than 8,300 housings would be in E1. 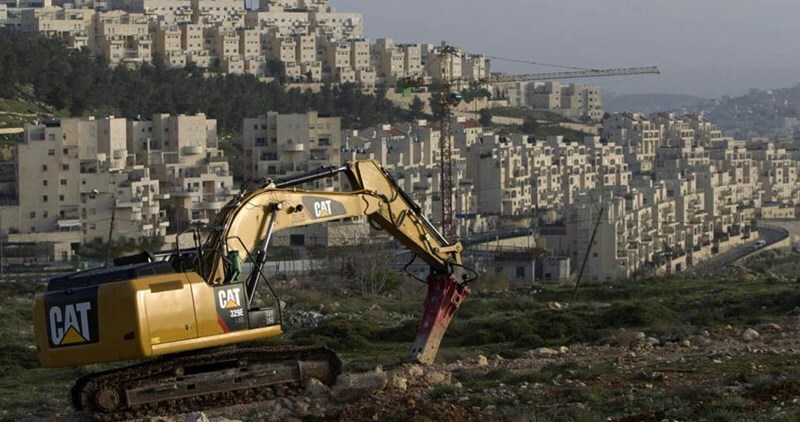 The Israeli Occupation Authority (IOA) approved construction plans for 153 new housing units in settlements of Gush Etzion in Occupied Jerusalem and Ariel in Salfit. Agence France-Presse on Tuesday quoted the spokeswoman of Peace Now Israeli organization, Haqit Ofran, as saying that the Israeli government had been following a decision of freezing settlement construction from the second half of year 2014 until one week ago. Over the past eighteen months, only previous construction decisions were taken under certain exceptions before the government's last decision of building new units was made last week , she added. “Apparently, (Israeli premier Benjamin) Netanyahu’s government was exposed to pressures by settlers or perhaps it is no longer afraid of any negative reaction by the United States as it was the case during negotiations on the Iranian file", she pointed out. Israeli Prime Minister Benjamin Netanyahu vowed, during the Sunday government meeting, to support settlement activities in the occupied Palestinian territory, including Jerusalem, and to seek "a legal process to allow the settlers to return" to the two Hebron buildings they were evicted from, Thursday. His statements about the "evicted settlers in Hebron" refer to the two buildings they occupied, Thursday, near the Ibrahimi Mosque, in the southern West Bank city of Hebron. The eviction caused Netanyahu's coalition partners, especially extreme right wing factions, to lash out on him and his Defense Minister Moshe Ya’alon, who ordered the removal of the settlers. Netanyahu said the eviction was a legal issue, and that he will always support all settlement activities in the occupied West Bank, including Jerusalem. He added that the legality of the "purchase of the two homes is being examined," adding said once his government examines "the purchase documents", and approves it, the settlers will be allowed back, and reiterated his government's support of all settlement activities. "Should the legal process take more than a week, it will be presented to the ministerial cabinet for deliberation," he said. Netanyahu faced strong criticism from his extreme right-wing coalition partners, and ministers, after the army removed the settlers. The settlers stormed and occupied the two Palestinian homes in Hebron, last Thursday, while throwing stones and hurling insults on the Palestinians. The homes belong to Fawwaz Qafisha, Shams al-Zatari, and Hussein al-Zatari on al-Sahla Street, near the Ibrahimi mosque, in Hebron. The army said the eviction came because the alleged purchase was never verified, and because the setters moved in without the approval of the military, the political and security leadership in the country. Israel’s colonies in the occupied territories, including in East Jerusalem, are illegal under International Law and the Fourth Geneva Conventions, to which Israel is a signatory. Article 4, paragraph six, of the 1949 Fourth Geneva Convention says, "the occupying power shall not deport or transfer parts of its own civilian population into the territory it occupies." Article 85(4)(a) of the Additional Protocol of 1977, reiterates Article 4, and states that "the transfer by the occupying power of parts of its civilian population into the territory it occupies is a grave breech of the protocol." In addition, the ICC Statute (International Criminal Court) states that "the transfer, directly or indirectly, by the occupying power of parts of its civilian population into the territory it occupies constitutes a war crime in international armed conflicts." 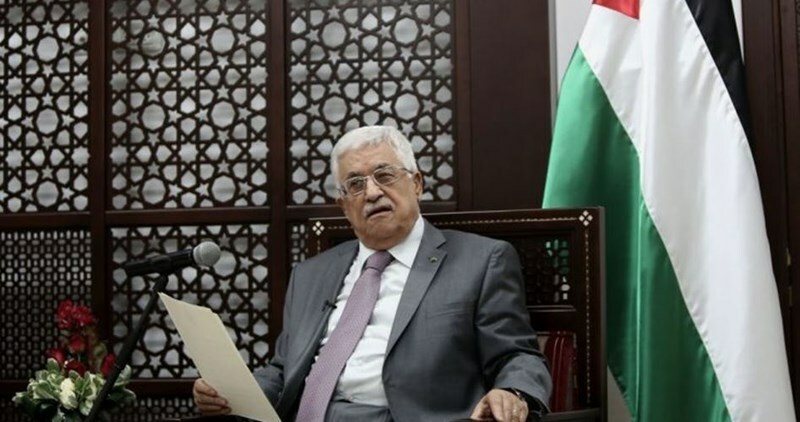 Palestinian Authority (PA) Chairman, Mahmoud Abbas, said on Thursday evening Israel has not responded to a Palestinian initiative for a summit meeting with the Prime Minister Benjamin Netanyahu. In a conversation with Israeli reporters at the PA’s Ramallah headquarters, Abbas said he had sought to initiate a meeting with Netanyahu, but the latter did not respond. That was two months ago, the Palestinian leader said, adding that since then he hasn’t heard from the Israeli side. Abbas emphasized the PA would continue its security coordination with the Israeli occupation forces, saying that until this very minute, he has not changed his position on the issue. He said the aim behind peace talks is to reach a peaceful solution to the conflict in accordance with international legitimacy and Palestinians’ aspirations to establish an independent Palestinian state with Jerusalem as its capital. Netanyahu’s office, however, denied Abbas’s claim. Rear Admiral John Kirby during a media briefing on October 15, 2014 at the Pentagon in Arlington, Virginia. The United States came down, Friday, on a decision by Israeli Defense Minister Moshe Ya'alon to incorporate a southern West Bank church compound into the illegal Gush Etzion settlement bloc. 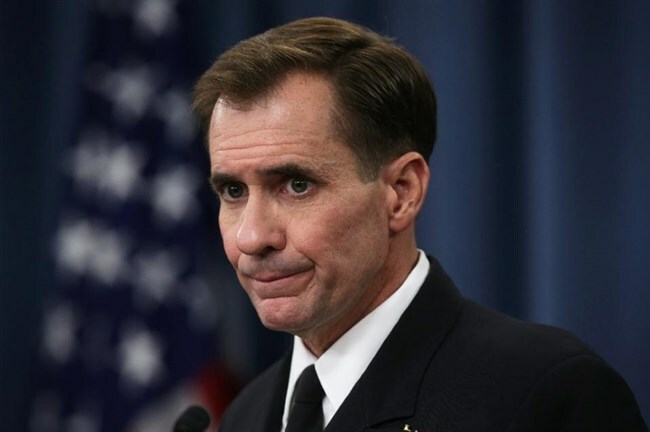 Spokesman for the US State Department John Kirby said during a press briefing that the US was “deeply concerned” about Ya'alon’s move, which “effectively creates a new settlement on 10 acres” of occupied West Bank land. “Along with the regular retroactive legalization of unauthorized outposts and construction of infrastructure in remote settlements, actions such as this decision clearly undermine the possibility of a two-state solution,” Kirby said. Kirby reiterated that the US views settlement activity as “illegitimate and counterproductive to the cause of peace." “Continued settlement activity and expansion raises honest questions about Israel’s long-term intentions and will only make achieving a two-state solution that much more difficult,” Kirby continued. The church compound, known as Beit al-Baraka, is situated on 38-dunams (9.3 acres) of Palestinian land in the Hebron district. The compound’s incorporation into Gush Etzion enables the construction of a continuous line of settlements from the Gush Etzion settlement bloc south of Jerusalem to a cluster of settlements around Hebron. An investigative report by Israeli daily Haaretz in May alleged that American millionaire Irving Moskowitz purchased Beit al-Baraka through a Swedish company years prior with the intention of turning it into a settlement outpost. A pastor who headed the church that previously owned the compound thought it had been sold to a Swedish company, Scandinavian Seamen Holy Land Enterprises, that would revive its use as a church. It was later revealed that the company had been established in 2007 and used to cover up the sale and transfer of Beit al-Baraka. The Swedish company registered the purchase with the Israeli Civil Administration in 2012 before handing over ownership to an American nonprofit organization that is funded by Moskowitz and works towards the eventual "Judaization" of occupied East Jerusalem. The takeover brought ongoing demonstrations in front of the compound by local Palestinians, often with Palestinian political and religious leaders in attendance. According to Ma'an, tshere are more than 500,000 Israelis living in illegal settlements across occupied East Jerusalem and the West Bank, making an independent and contiguous Palestinian state impossible. While US leadership has repeatedly condemned Israeli settlement expansion, such condemnations have historically done little to curb their growth. Israeli war minister Moshe Ya’alon has approved the expansion of the West Bank settlement bloc Gush Etzion to include 40 more dunums. Ya’alon okayed construction that will allow for the creation of a new settlement on the land-plot, which formerly housed a Christian-run hospital, the Hebrew daily Ha’aretz reported Wednesday. The decision to approve construction on the plot was made in recent weeks, the report said. The plot of land is located across from the al-Aroub refugee camp on Route 60, between the Etzion settlement bloc and al-Khalil. The site includes eight buildings, among them a large central structure and several smaller ones. If populated, the outpost would help create an Israeli corridor stretching from Jerusalem to al-Khalil, which critics say would further complicate efforts to create a contiguous Palestinian state in the West Bank under a two-state peace deal, according to Ha’aretz. The property near al-Aroub is owned by Jerusalem City Council member Arieh King, who bought it three years ago and began refurbishing it with the intention of establishing a new settlement outpost there. The purchase was funded by US millionaire and right-wing "philanthropist" Irving Moskowitz, a high-profile supporter of the Israeli settlements, through a series of shell corporations and charitable organizations in 2008, according to the Hebrew newspaper. The church sold the site when Joan Davenport, the nun who managed the property, left Israel. “We decided to finish our mission in Israel because they told us in Bethlehem that there were enough local Christians and that they did not need us,” she said. Emanuel claimed he wanted to merely restore the church to its former state, Ha'aretz reported. Local Palestinians have protested the site’s confiscation, placing Palestinian flags on the fence of the complex.